January 30, 2019: Cole Haan, the iconic American lifestyle brand, is excited to announce the launch of its new ZERØGRAND All-Day trainer which combines the styling of a dress shoe and the performance of an athletic trainer. 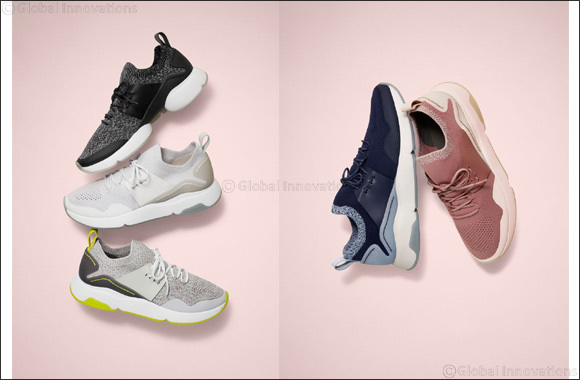 For Spring 2019 Cole Haan continues to push boundaries by introducing their first shoe designed to seamlessly transition from work to workout, and everything in between. The ZERØGRAND All-Day trainer was created to ensure durability and endurance during workouts, proving the shoe’s ability to stabilize the foot and provide adequate cushioning throughout your whole day. With silhouettes for both men and women, all styles feature 360-degree heel support and GrandØS. Energy Foam, allowing for high rebound and lightweight cushioning that complements the natural running gait of the foot, while the Stitchlite Upper is engineered to breathe and keep the wearer cool as they move. “Everyone needs a shoe that is comfortable and sharp enough for the office, but functional and durable enough to take you through your day and even your workout. We have truly created a performance-first shoe that fits perfectly with the rest of your life” says Cole Haan’s Creative Chief Officer, Scott Patt. The ZERØGRAND collection is available in the Cole Haan stores in UAE, Kuwait and Bahrain. UAE: Dubai Mall, Dubai Marina Mall, Mercato Mall & Yas Mall Abudhabi. Opening soon at Mall of the Emirates and Marina Mall Abudhabi.